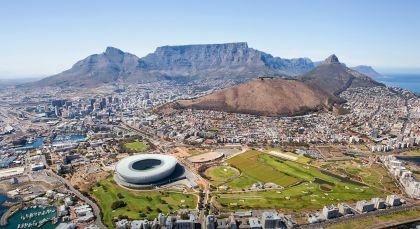 This private South African safari tour takes in a spectacular combination of experiences for you to embrace – from vibrant Cape Town and the diverse wildlife of renowned Kruger National Park to the utterly breathtaking Victoria Falls. Walk on the wild side! 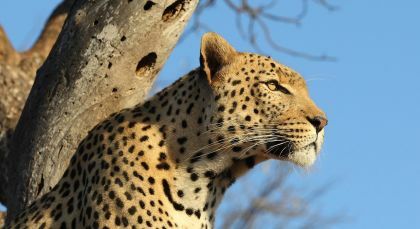 With its iconic sprawling landscape dotted with baobab and marula trees, Kruger National Park is one of Africa’s top safari destinations, rich with its lion prides, elephant herds and thousands of other animals, against shifting backdrops of savannah, forest, river and mountains. Our trip through Africa was expertly handled by Enchanting Travels. Every detail went to plan which was a first for the four of us. 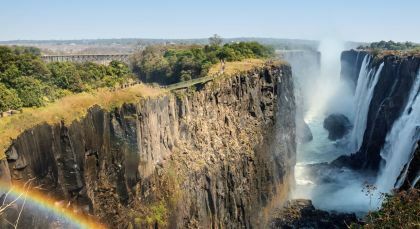 From Cape Town, Rovos Rail, Botswana, Victoria Falls, Kruger South and two Safari destinations in Kenya, the wildlife and friendliness of the African people were incredible. 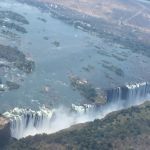 The accommodation, food and many wonderful experiences that were arranged by Enchanting Travels exceeded expectations throughout and Angela really listened to what we wanted then organised everything perfectly. Africa was amazing, Enchanting Travels was excellent and thanks to Florian for his warm hospitality. Would definitely book another journey through Enchanting.